Time to gather together your wildlife photos and send them in! The photo tank is dropping, though I still have a reserve. Went back up into the rainforest last weekend to a different section of the national park to find some more creepy crawlies to photograph. I managed to find and photograph my first Mygalomorphs. 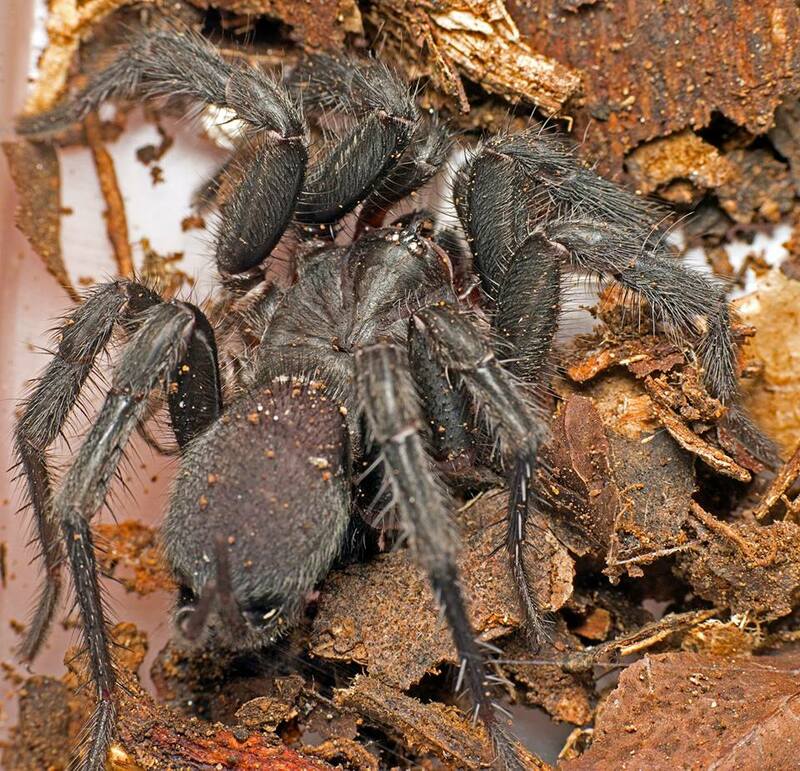 This is the infraorder of spiders that includes tarantulas and the deadly Sydney Funnel-web [JAC: the Funnel-web is regarded as the world’s deadliest spider]. The ones I found are in the family Dipluridae aka the Curtain Web Spiders. The second photo was positively identified as Australothele jamiesoni by Robert Raven who was the researcher to first describe the genus and the seven species in it. The second photo looks similar and photographed very close by, it’s probably A. jamiesoni as well but I can’t be certain. 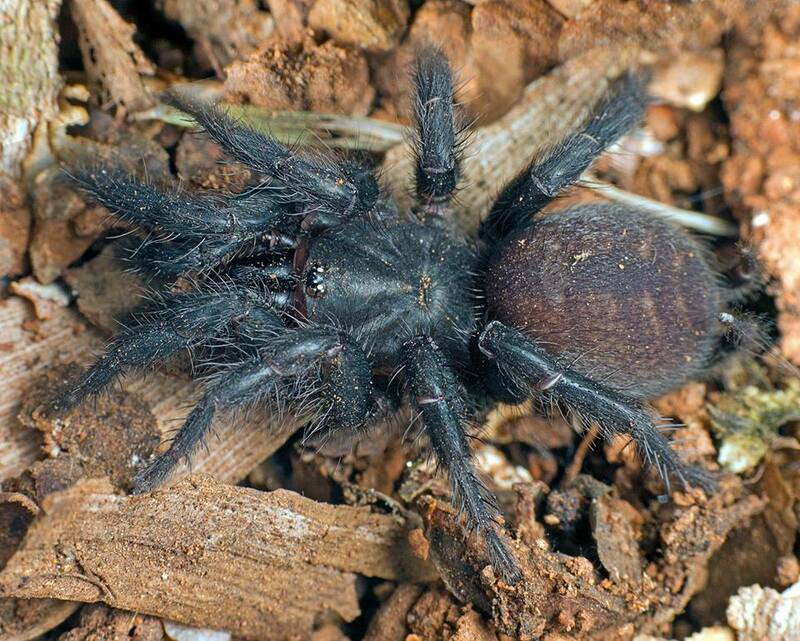 The two long spinnerets that can be seen in the photos are characteristic of the family. The spiders look scary but they’re not large: only around 20mm long. In addition to spiders I found a couple of scorpions. 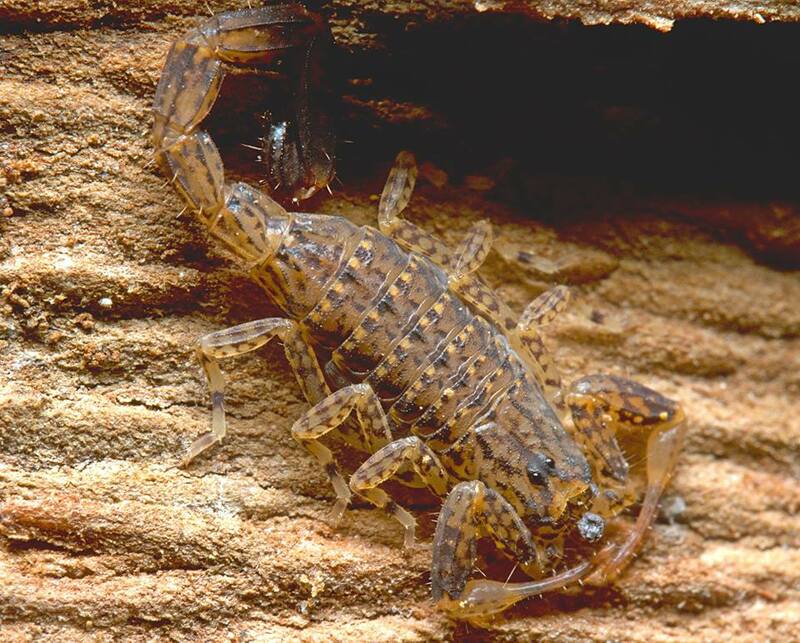 Homurus waigiensis the Rainforest Scorpion, although I have found them outside of rainforests in swampy open forest. And an unidentified member of the Lychas spinatus species complex. 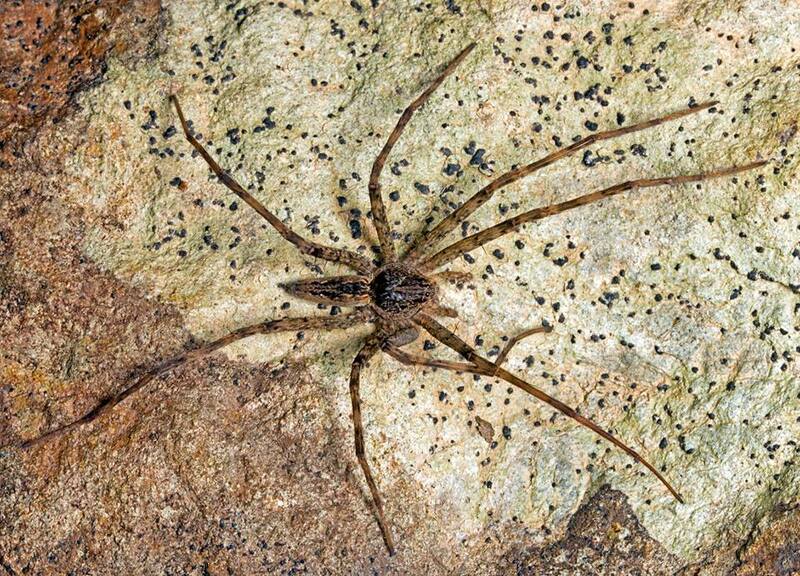 Lastly a Water Spider, in the family Pisauridae. Robert Raven said it looks like a Megadolomedes trux juvenile but has an unusual pattern. I have seen full-grown M. trux years ago and they are an impressive sight. While having relatively small narrow bodies their span can be as large as a man’s spread hand. They hang out on the underside of rocks above rainforest streams and can eat fish, tadpoles and even small frogs and toads. This entry was written by whyevolutionistrue and posted on June 22, 2018 at 8:00 am and filed under arthropods, photography, spiders. Bookmark the permalink. Follow any comments here with the RSS feed for this post. Both comments and trackbacks are currently closed. I know, I’m aware of how technology has improved the ease of capturing great images of wildlife. Nonetheless, the efforts (footwork, stealth, timing, etc.) are a big part of the process. Also, the descriptions and nomenclature accompanying the images greatly enhance our enjoyment. This is terrific stuff. 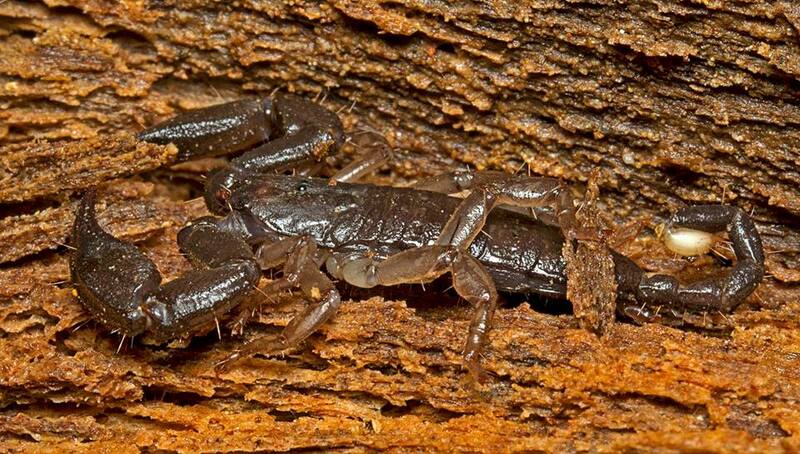 How I wish to have venomous arthropods in my area, as it would make this kind of hobby even more interesting when I roll over a log or lift a rock (always putting it back, carefully). One of our Pisaurid species is also variable, being found in 3 or 4 different color morphs. Wonderful shots. I do so wish I knew more about the local spider life but I can’t identify more than a handful of species; the big, glaringly obvious ones. Can anyone suggest any books on mid-western US arachnids? I’m sure Tony didn’t say this – it’s become a rather annoying trope! This little gem rather sums it up..
Hugh – who lives in the world’s safest tropical rainforest..
D’aguilar National Park. NW of Brisbane. So, the forest you refer to is the one your name links to, the Daintree tropical lowlands? Sounds marvelous! If you weren’t just joking about the safety factor, why is it this area dodged all the dicey spp? Interesting question – and I can’t answer it – most of the really venomous snakes don’t like the rainforest – we do have stinging trees (fairly rare) and wait-a-while vines (very common) – and in the ocean and creeks crocodiles – and in early summer – Chironex (the box jelly fish).but otherwise it’s the 2 legged varieties we have to watch for (. Yes, no matter where you go it’s one particular two-legged primate that presents the lion’s share of threat. Love the 8-legged Aussie beauties, venom and all. Thanks for the contribution! Great photos, very fascinating arachnids! Love the pattern of that second scorpion. 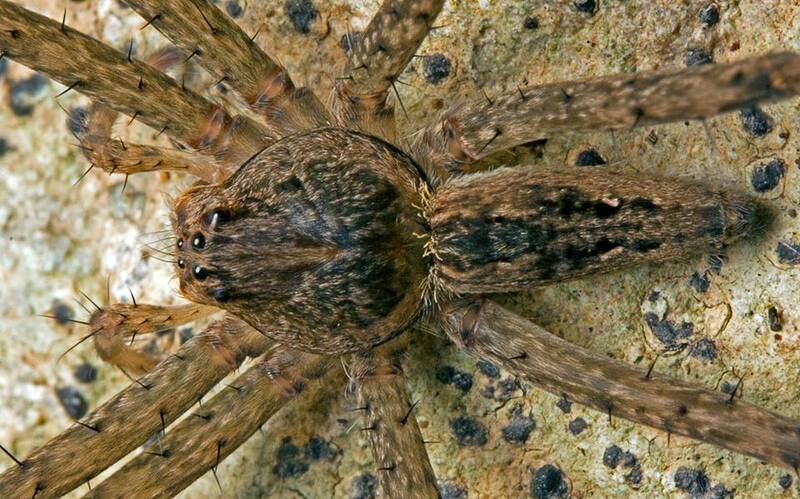 That water spider close-up is wonderful!